When it comes to looking for a cheap, high-quality car for sale, it can be a hard task to accomplish. You have to take the time to consider that wants and needs that you would love to have in a vehicle. To find a used car that would accommodate all your necessities can certainly be frustrating. If you have a big family, then you have to think about all the features that they will need as well. If you are in the York area and you want to find Ford cars for sale in Dillsburg, PA that will keep everyone satisfied, take a trip to a Bob Ruth Ford in Dillsburg, PA. You will see that we have a variety of Ford models that suit everyone’s needs. You can look forward to a variety of makes and models at our dealership. Be sure to check out all of our Ford trucks for sale as well as our selection of used cars. Or you may be interested in taking a look at the SUVs that we have for sale near you. These Ford cars come with amazing features so everyone can be comfortable and ride in style. When you come to our dealership in Dillsburg, you will definitely want to browse through our inventory. We are sure that you will find the perfect cheap car for sale here at our dealership in Dillsburg, PA. Find our convenient location at 700 North US Route 15 Dillsburg, PA 17019 today to buy your Ford car, truck or SUV today. Once you come to Bob Ruth Ford in Dillsburg, PA you may become flustered. With such a wide variety of Ford cars, it can be challenging to choose the right model for you. Here at our dealership, you can't go wrong with any choice that you make. No matter the model that you pick, you will have a selection of amazing features. Our trucks, SUVs, and used cars all come with great features. 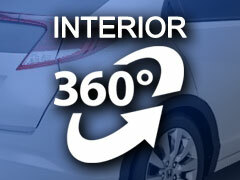 Even our cheap vehicles share many features that you can enjoy. Take a look at some of the entertainment features on the Ford Edge that your family will love. The satellite radio, MP3 compatibility, and Bluetooth connection are some features you'll enjoy. You can listen to all of your musical favorites. And not to worry, every passenger will have the opportunity to listen to there sweet jams. You can get a closer look at these entertainment features when you come to our used car lots. You can view other features that the trucks or the SUVs for sale near you come equipped with. Safety features are essential to the welfare of your family should the worst happen. Our trucks for sale in PA come with safety features that you can appreciate. With options like traction control, brake assist, and a variety of airbags, you can be sure to be safe. It is crucial that you feel safe in the SUV model that you decide on. When you shop with this Ford dealer in Dillsburg, PA you will not have to worry about your family's safety. While safety is essential, you might consider comfort to be just as important. You do not have to decide between having the comfort or the safety features that you want. Our cheap cars for sale in Dillsburg come with many features. Try out the cloth bucket seats, air conditioning, and power driver seat. You will be sure to be comfortable on all the long car rides that you take with your family. The Ford models share a lot of features. The used cars, trucks, and SUVs for sale also have features that make them stand out from other dealerships. The Ford models are sure to have unique features. When you come to our Ford dealership, you can get an up-close look at all the features the used trucks, cars, and SUVs have to offer. Be sure to take the time to test drive any Ford model of your choice. Let the Bob Ruth Ford be your first choice when seeking the perfect family vehicle for you. Finding high quality used cheap cars for sale can be easy with us. You will see that we have a vast variety of vehicles for you to look at and explore. However, it can be overwhelming to look at the vast inventory we have to offer you. You do not have to worry about browsing through our wide selection alone. When you make your way to our dealership, you will find that we have an excellent staff. Our knowledgeable and friendly team members are ready to answer all of your questions that you may have. You can ask about our many Ford models that we have for sale near you. Our team members are ready to stay with you throughout the entire process. We want to help ensure that you get the most out of your car buying experience. We have many great financing, leasing, and other options for you and our team members can help you every step of the way. You will have the chance to get an up-close look at all the features and deals that we have to offer you. Don’t hesitate to test drive any of our used cars, trucks or SUVs. Make sure that the vehicle you decide to buy can fulfill your wants and needs to the fullest. Let Bob Ruth Ford in Dillsburg be your first choice. When looking for the right truck, car, or SUV for you, you will find what you need.